Mas Conscience is located in the highly sought after Terrasses du Larzac, 35 kilometres northwest of Montpellier. 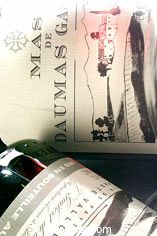 A blend of Grenache and Syrah, the two combing to form a nose of red berries, schist, rose petal and tar whilst the palate is intense and rounded, as one would expect of a benevolent vintage such as 2009. The charismatic Jean-Michel Alquier represents the fifth generation of this, the top property in Faugères. 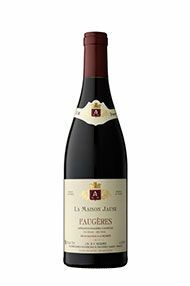 Faugères was lucky enough to break away from the heterogeneous Coteaux du Languedoc umbrella appellation as far back as 1982, although some may say that it has yet to perform strongly on the export market. Given the forceful personality of M Alquier, allied to the eloquence of his wines, one would be unwise to nominate anyone else to be an ambassador for the region. The significance of the eponymous yellow house is not entirely clear. 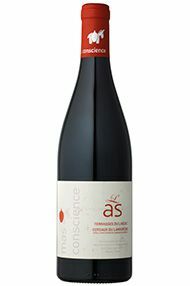 What is clear is that this is a prestige cuvée, made up of 80% old vine Grenache and aged for 14 months in barriqus, 10% of which are new. 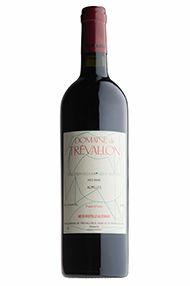 The wine has an attractive nose of cherry, praline and woodsmoke; the palate is creamy and dense, with balancing acidity, hints of garrigue and a rounded finish, full of Mediterranean warmth.